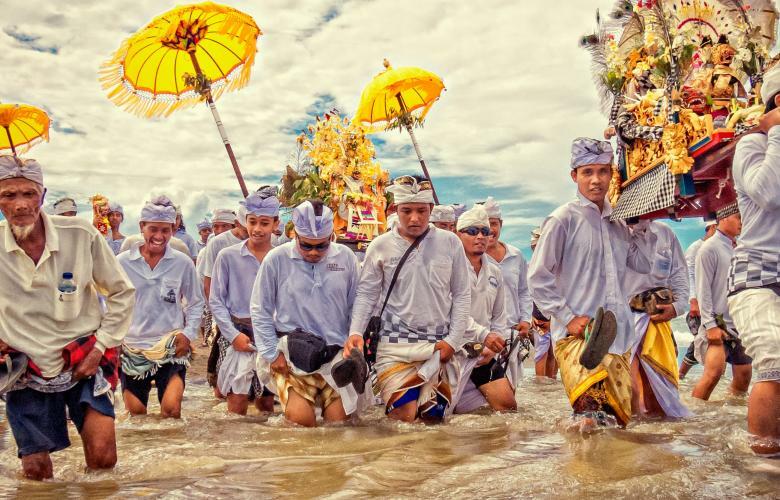 The Melasti ceremony is a unique Balinese purification ritual. Pererenan is famous for its beautiful rice fields and super sunsets. Canggu on Bali's southwest coast is developing at an exciting pace. It wasn't that long ago however, when it was considered to be ‘out there, somewhere in paradise found,’ offering insights into a way of Balinese life places like Seminyak and Legian had unfortunately lost. Times have changed. Infrastructure has greatly improved over the years and developers both big and small have capitalized. Canggu was always a magnet for the surfing community, which in turn attracted investment, developers and in recent years such a dynamic food and beverage scene that the area has become a foodie destination in its own right. Berawa, Batu Bolong and Echo Beach in particular, not only have the surf breaks they now have the cool cafes, vegan hideaways and a great selection of fantastic food options aiming to revolutionize taste bud experiences. Echo Beach in Canggu is famous for its surf break and beach bars. Image by Photo by Evaychen on Pixabay. Pererenan, however, is different. 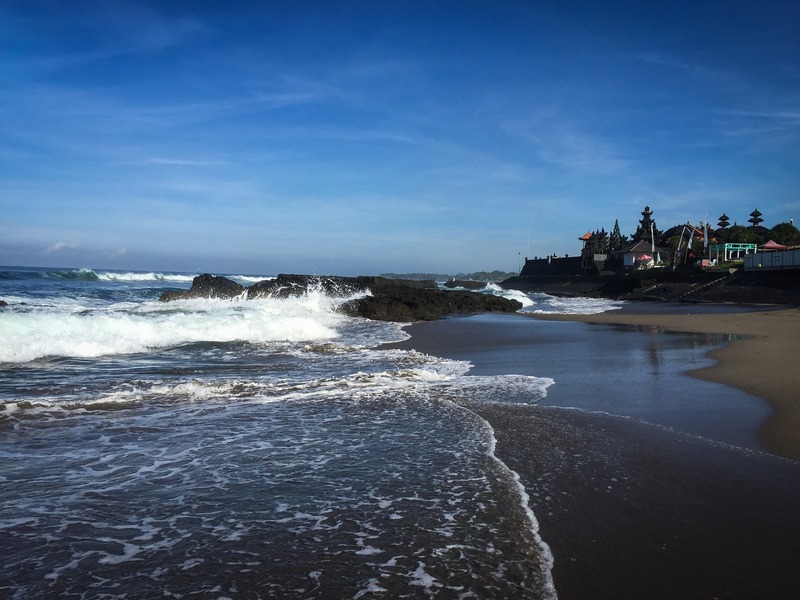 Although not technically in Canggu (it is actually in Mengwi on the border of Canggu and Tabanan) it is only around 10-minutes from Berawa and even closer to Batu Bolong and Echo Beach, so if riding waves is your thing you won't have hours to drive to get to you're favourite breaks. Ask anyone who either lives or spends time here. There is something unique about the place. One of the main reasons for this is because Pererenan has a strong Balinese community who has chosen to retain their customs and tradition rather than opt for the short-term sellout. Terje Nilsen from Harcourts Seven Stones explains, "this doesn’t mean there aren't beautiful multi-million dollar villas and high-end luxurious retreats because there are. But what it does mean is there are large areas of greenbelt land, acres and acres of rice fields and quiet country roads, through peaceful villages down to beautiful beaches." The Melasti ceremony is a unique Balinese purification ritual. Photo by Dominik Vanyi on Unsplash. It is down one of these roads where you will find The Double View Mansions; Double view because on one side are lush green paddies while on the other is the beach at Pantai Lima. It is a beautiful location and one that Luca Simioni, one of the developers of the project fell in love with and wanted to share. "My friends Valerio and Fanni insisted I see the plot of land they were looking to develop in Pererenan and my life changed," he says. "I just loved the lush green rice fields rippling in the wind, the magnificent views of Mount Batukaru, a magical sunset over Pantai Lima beach and the sound of the ocean. I wanted to be a part of it. That's when I first felt Bali's beautiful magic." Eugene Shivnan from Harcourts Purba says, "there seems to be a real sense of pride in the people who live in Pererenan to keep it the way it’s always been and that has resulted in a very friendly, very safe, very family oriented destination. Sure, there’s tourism and visitors love staying there but they tend not to be party animals, preferring early nights and soul searching to trance dance and hangovers." It is this family-feel that is a big magnet. The new Montessori school is close to The Canggu Community School, and The Green School is only 40-minutes away. All of which offer internationally recognized standards of education if you have kids to consider. Teachers from these schools live here. People on retreats stay close by and the high-end resorts that do have a discreet foothold in the area are keen to attract a particular sort of guest. It is the guest who enjoys peace and quiet, great local places to eat, good surfing on more secluded beaches and organic markets. It is the sort of guest who wants to enjoy some of the reasons that made Bali so special in the first place. If that sounds like you, then Pererenan is somewhere you have to experience.